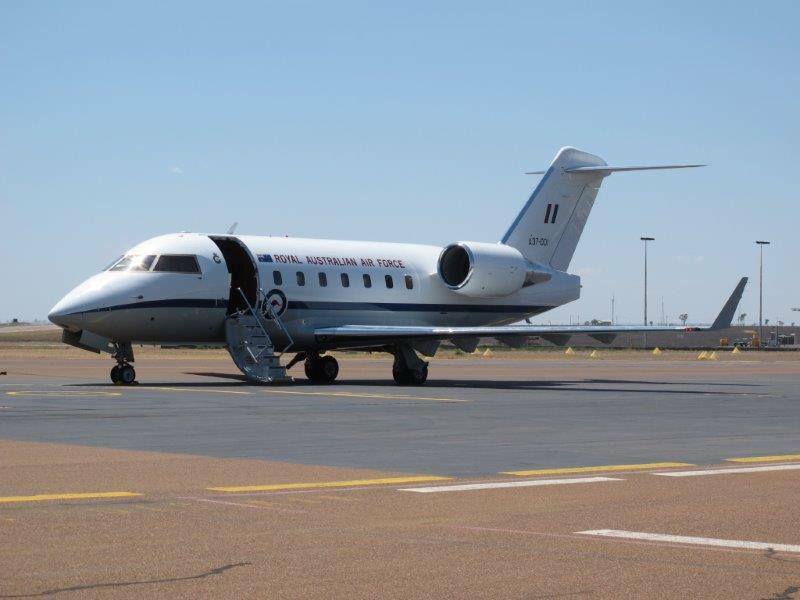 On Thursday 9 August, Royal Australian Air Force (RAAF) Canadair CL-600-2B16 Challenger 604 bizjet A37-001 was noted arriving into Longreach Airport as "Wisdom 5" direct from Melbourne (Tullamarine). It had earlier flown down from Canberra and is believed to have brought the Federal Labor Party Leader Bill Shorten to town. A37-001 was later noted departing Longreach Airport for the East and is believed to have landed at Barcaldine Airport where it will possibly spend the night. Media reports suggest that Mr Shorten will continue and visit Emerald on Friday 10 August. UPDATE! On Friday 10 August, A37-001 "Wisdom 5" was heard to depart Barcaldine Airport for Emerald Airport before it later departed back to Tullamarine. Meanwhile, also at Longreach Airport but late on Tuesday 7 August, RAAF Beech B350 Super King Air A32-651 "Beaufort 07" arrived from Canberra and RAAF Base East Sale. It later departed to RAAF Base Richmond. Finally, a couple of light General Aviation (GA) visitors into Longreach (and Barcaldine) Airports over the last few days has included Moree-based Cessna 206 VH-ZEU which arrived from Charleville also on Thursday 9 August. While Australasian Jet Piper PA-31-325 VH-ZMJ called into Longreach Airport on Wednesday 8 August for fuel while flying from Cairns to Bourke in New South Wales. And at Barcaldine Airport, it is believed that Navair Jet Services (Mabeena P/L) Piper PA-31-350 Navajo Cheiftan VH-NWN visited on Thursday 9 August. It was noted flying as ‘WA658’/”Wagga Air 658”. And over the weekend on Saturday 4 August, FlightTech Air Logistics / Townsville Airlines AeroCommander 500-S VH-WZQ flew North from Ballarat to Thargomindah and Longreach Airport before continuing to Cairns. It had flown South to Melbourne from Cairns back in June.